Minnesota Public Radio said it has fired Garrison Keillor over allegations of "inappropriate behavior." In a statement posted on its website today, the public radio network announced it is terminating its contracts with him and his private media companies "after recently learning of allegations of his inappropriate behavior with an individual who worked with him." Keillor, the former host of "A Prairie Home Companion," retired from the long-running radio show last year but still produced "The Writer's Almanac" for syndication. "Last month, MPR was notified of the allegations, which relate to Mr. Keillor's conduct while he was responsible for the production of 'A Prairie Home Companion,'" the network said in its statement. "MPR President Jon McTaggart immediately informed the MPR board chair, and a special board committee was appointed to provide oversight and ongoing counsel. "In addition, MPR retained an outside law firm to conduct an independent investigation of the allegations. Based on what we currently know, there are no similar allegations involving other staff. The attorney leading the independent investigation has been conducting interviews and reviewing documents, and the investigation is still ongoing." 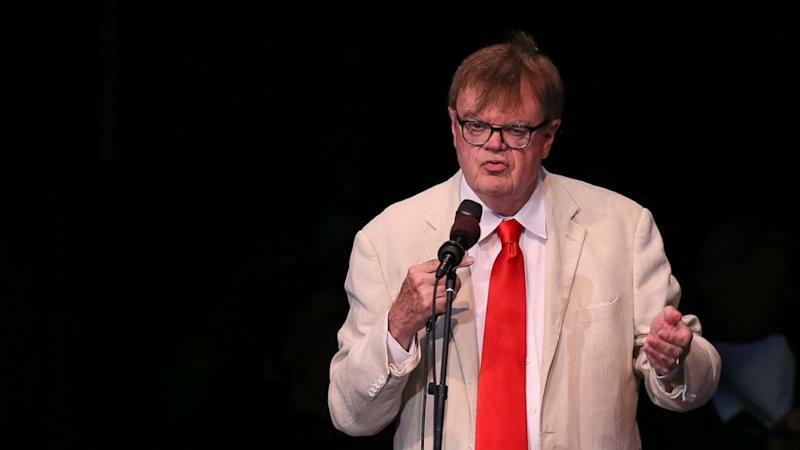 "Garrison Keillor has been an important part of the growth and success of MPR, and all of us in the MPR community are saddened by these circumstances," McTaggart said in a statement today. "While we appreciate the contributions Garrison has made to MPR and to all of public radio, we believe this decision is the right thing to do and is necessary to continue to earn the trust of our audiences, employees and supporters of our public service." "Over the last several weeks, the special board committee has worked closely with MPR President Jon McTaggart and legal counsel to review the facts as we know them and carefully consider the implications of the various options," David Murphy, the chairman of the Minnesota Public Radio Board of Trustees, said in a statement today. "The board committee concluded that terminating the Keillor relationships was the appropriate decision and the board and Jon are aligned in this action." Keillor confirmed his firing in an email to The Associated Press and in a separate statement said he was fired over "a story that I think is more interesting and more complicated than the version MPR heard."